POLL: Who will Be Eliminated From Dancing With The Stars 4/17/12? Last night was the fifth episode of Dancing With The Stars Season 14. The theme for this week’s episode was Latin Night and the ballroom heats up as the remaining nine couples performed Salsas, Sambas and Argentine Tangos. Carlos Santana kicked off Latin Night with a performance and he rocked the house! If you missed the show you can read our full and detailed recap here! On last week’s episode the The View’s co-host Sherri Shepherd and professional dancer Val Chmerkovskiy were given the boot. If you missed Sherri’s performance last week or any of the performances of last week you can see all the performance videos here! After tonight’s show at the top of the leaderboard is William Levy and his professional dancer Cheryl Burke who danced the Argentine Tango and scored a 29/30 and Katherine Jenkins and her professional dancer Mark Ballas who danced the Argentine Tango and scored a 29/30. At the bottom of the leaderboard is Gavin DeGraw and his professional dancer Karina Smirnoff who danced a Samba and scored a 19/30. Tomorrow one celebrity will leave the ballroom, who do you think will leave? Let us know in our poll below. I think Gavin DeGraw’s probably has had his last spin on the floor – but we will see tonight. 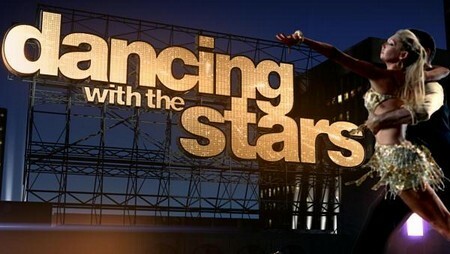 Who Will Be Eliminated From Dancing With The Stars 4/17/12?